The knee is an especially injury-prone part of the body. Many of us could recall situations where we have inadvertently injured a knee – though, fortunately, the problem was probably minor. 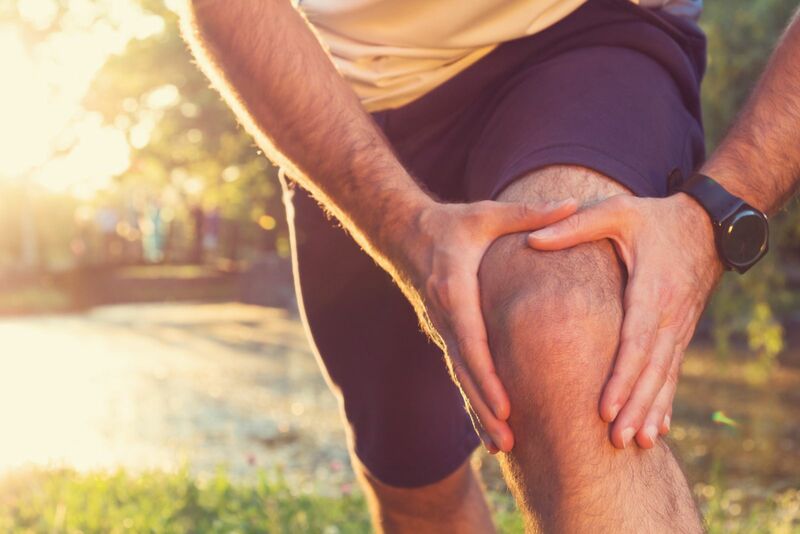 Unsurprisingly, knee injuries are likeliest to emerge when the knee is subjected to significant exertion – like during playing a vigorous sport or undertaking of a DIY project. Especially unhelpful for preventing such injuries is that the knee is the body’s largest joint, according to WebMD. A knee comprises several structures; two discs, called the menisci, separate the upper and lower bones, while muscles, ligaments and tendons connect the upper leg bone – the femur – and the fibula and tibia, which are the lower leg bones. Inside the knee joint, articular cartilage covers the bone surface for shock absorption and enabling the joints to move smoothly. Typically, a knee issue will arise from one or more parts of the knee becoming injured, though a different cause can’t always be ruled out. This is where pain can be felt beneath or near the kneecap, often when the knee is being bent. Walking up or down stairs typically worsens the pain. Long-distance runners can – unsurprisingly, given the injury’s name – be particularly prone to runner’s knee, as it is often caused by overuse. However, other athletes such as weightlifters are not wholly immune to symptoms. The injury can also result if the knee takes a direct physical hit. Should you pick up this injury, it is recommended that you first use what Men’s Fitness calls the R.I.C.E. method. That acronym stands for Rest, Ice, Compression, Elevation; however, we recommend seeking a doctor’s advice if you are unsure how to utilise this method, or if you experience symptoms for longer than a week. Should you suddenly increase your knee’s activity, like what might happen if you recently extended your mileage or headed into a sprint without jogging first, there’s a risk of IT band syndrome. Other possible causes of this injury include running up or down hills or on stairs repeatedly. Another trigger can, quite simply, be general overuse of the knee, and is when the outside can be pained when the IT band becomes irritated. That band is fibrous tissue extending along the leg’s outside, between the hip and the shin’s lateral side. If you fail to properly handle ITBS, one result could be meniscus tears, for which surgery might later be necessary. For rehabilitation from IT band syndrome, you can turn to the previously mentioned R.I.C.E. procedure. Exercises that could help rectify this injury include post-exercise stretches through which the hip flexors and glutes are engaged. Typically, you can also significantly help recovery by stretching out the IT band through the use of a foam roller. Excessive jumping – like with basketball, volleyball and similar sports – can produce unsurprisingly-named jumper’s knee. This injury can especially easily arise if particular muscles have not been strengthened sufficiently to prevent it from happening. However, at least, to begin with, you might experience only what is known as the first grade of jumper’s knee. With this grade, you would feel pain only in the immediate aftermath of training or working out. Still, jumper’s knee can worsen and, potentially, eventually reach the fourth grade, where pain would be felt during everyday activities. Once again, the R.I.C.E. means of recovery can be helpful here. However, there are instances where jumper’s knee can require surgical treatment. To assist with recovery, you should forgo high impact exercises that would put your knee under stress. If you often play sports like football, soccer, basketball and lacrosse, which require prompt lateral motions, you should watch out for sprained or torn ligaments. While various knee injuries take time to emerge, these ligament issues tend to happen suddenly. Usually, making a sharp and jarring motion – like when getting hit or landing awkwardly – is what causes one of these issues. Also, there will typically be a loud and distinctive “snap” or “pop” at the time of injury. The knee can later swell and produce pain when weight is placed on the leg. A knee sprain can be an over-stretched but non-torn ligament, a slight or partial tear, or a complete rupture. Here at Highgate Private Hospital, we can use knee arthroscopy to see inside the knee and diagnose – and possibly immediately treat – ligament damage. You can learn much more about this form of keyhole surgery by looking at our website or calling us on 020 8341 4182.